Buying a laminate kitchen worktop online might seem a little tricky but a lot of people do as it’s the easiest way to buy a work surface. Think about it, fast delivery, best possible prices, free swatches delivered to your home, no waiting around, and a vast choice of kitchen worktops with the latest in innovative design. Find a company that can offer you a good service on a quality kitchen worktop at a cheap price with a reasonable delivery time, Do they offer a fitting service for the worktop they are supplying? And do they have a good selection of different worktops, Are they easy to contact? Do they have online payment facilities? How long do they take to reply to an email, These are all important factors to consider when buying a work surface or any other product online. 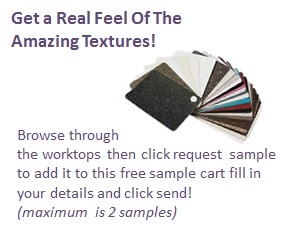 Shopping for a kitchen worktop online also doesn’t mean that you can’t see and touch what you are buying as any reputable worktop supplier will be more than happy to let you have a sample of what you need for free, as a picture on a website does not always accurately reflect the true colour and tones of an actual worktop This should ensure you get the very best in kitchen worktops at a reasonable price that doesn’t compromise quality. Anyone knows that the best area that attracts the most attention will be the kitchen, The kitchen is the focal point for most families where they will cook, eat, talk, make tea and sit down for a chat and other activities at the kitchen worktop. So when you are looking for a kitchen worktop you need to find the right balance between style, cost and durability. The Internet would be a good place to buy a laminate kitchen worktop, that’s why more and more people shop for worktops online. You can find professional sales and service online as well as an incredible array of styles and colours to choose from, of course there’s more to it when it comes to kitchen worktops as you’ll want to find the kind of outstanding selection that will enable you to colour coordinate well with your overall kitchen design. The larger the choices the better selection of both colours will be.